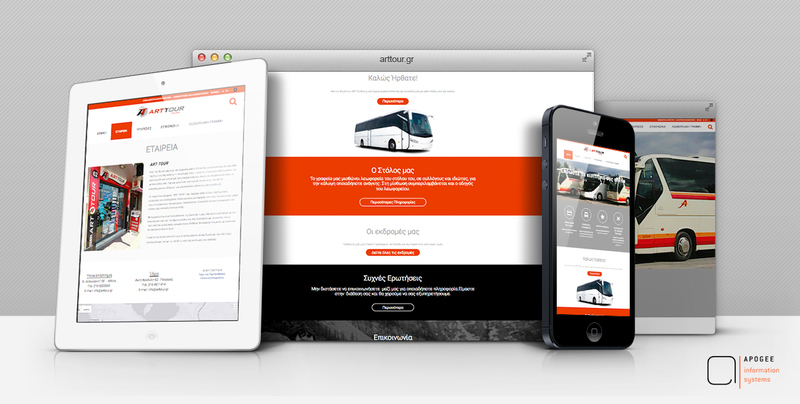 Apogee Information Systems launched the new website of the travel agency Art Tour. The website is based on the content management platform Apogee Essence CMS, which allows dynamic management of the website and user-friendly features, such as extensions, modifications and deletions of texts, pictures, updates etc. The most important feature of the new website is the integration of Apogee Voyager online ticketing system which allows its users to efficiently manage their services while giving them the opportunity to book their tickets electronically and to manage their booking information. Apogee Voyager design guarantees the direct control and supervision of the various processes by the user or company. Among its offered features are seat reservation and cancellation, routes planning, booking reports, passengers list and SMS reminders. Modern, functional, efficient and easily adaptable to the needs of every business, the system has been operating successfully for the past 4 years. During this period, it has served more than 300,000 passengers on over 10 routes and 17,000 daily routes.